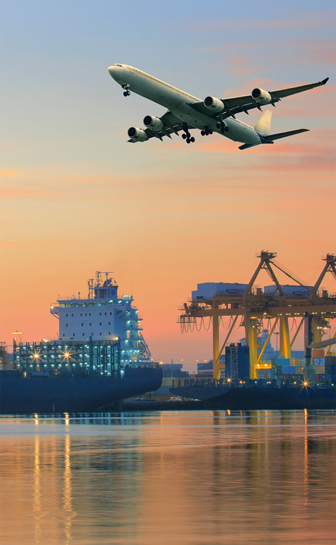 A Global Leader in Freight Forwarding With Expertise In Logistics and Transportation Solutions. 01. 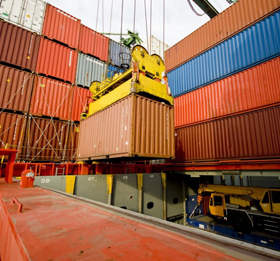 OCEAN FREIGHT Our company prides itself on affordable, professional and reliable shipping services. 02. 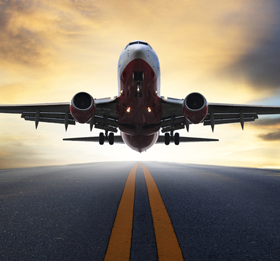 AIR FREIGHT Our Air Freight network of gateways and sub-gateways provide the easiest and fastest air service. 03. INLAND TRANSPORTATION Gulf American Line is able to offer you the quickest and most affordable inland rates. 04. 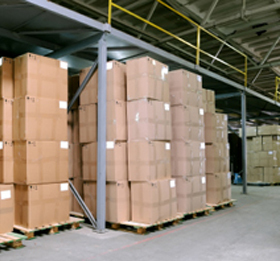 WAREHOUSING/DISTRIBUTION Our warehouses are conveniently located in close proximity to the major ports and airports. Headquartered in Berkeley Heights, New Jersey, Gulf American Line is the leader in freight forwarding, warehousing, and your #1 logistics provider moving rapidly into the 21st century. Having achieved customers' 1st choice in overall nominations, we are now ranked among the largest NVOCC from North America to the Middle East and the Mediterranean. We provide solutions and cutting-edge technology by continuously updating and improving our operations. 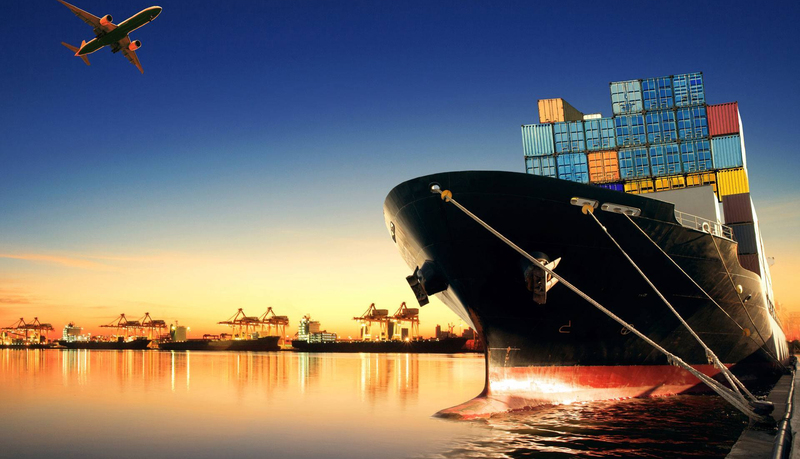 Our executives and management teams consist of former steamship executives with extensive experience in the transportation and logistics industries. Our success is attributed to our ability to adopt value added services, of which we tailor into solutions to meet our customers' needs and goals. Gulf American Line's motto, "Our Service is Our Success", reflects the commitment of each one of our employees and the company as a whole to go above and beyond industry standards. We believe that by doing better and going beyond expectations, we will contribute to the success of our customers, especially in times of steadily growing International Trade. We are truly proud of our diverse work force, and believe that diversity is not only a key driver for innovation, but also essential to business in the 21st century. Additionally to our team's specific job skills, qualifications and talents, our employees bring in unique qualities and perspectives. Our employees speak many different languages and this outstanding talent is what gives us our key competitive edge. Also, our company culture encourages feedback from all employees towards constant growth and improvement. Whether the requirement is ocean, air freight, FCL, LCL, inland haulage, break bulk, project, government, hazardous, consolidation, warehousing/distribution, chartering or packing, you can rest assured the best team is handling your freight with environmental and safety principles in mind. WITHIN 24 HOURS Our Customer Service/ Rates Department staff is ready to provide you with quotes to suit your needs and any other services that you may require. SHIPPING COST Our extensive knowledge in shipping and transportation guarantees that there will be no hidden charges. OF EVERYTHING Our primary focus is to provide you with the maximum support and solutions to help you achieve your business goals and requirements. PROFESSIONALS Our staff’s experience and dedication is what has made us one of the world’s leading freight forwarders today. Gulf American Line and New York Forwarding have been our appointed forwarders for more than twenty years, they handle all of our Corporation sea and airfreight shipments and logistics throughout the world. We are very happy with the services they provide us, we never encountered any issues with freight shipments as they always handled the consignments from our supplier’s door to our customer’s door, and they always kept us up to date on any new regulations from carriers and customs. Thank you Gulf American Line for being our forwarders and we look ahead for your continued support and professional services in the future. With over 20 years of quality service, we consider Gulf American Line as a professional company which is supportive in our business deals. 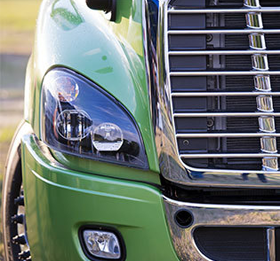 Gulf American Line has the required tools and knowledge to get the job done right the first time and ensure our freight is delivered on time. We look forward to working with Gulf American Line for many years to come. It’s was a very good decision we made 10 years ago when we joined hands with Gulf American Line, we have never looked back since as they are taking a step ahead in their services every year reaching greater scale, this is due to a very low turnaround of the account managers and the staff handling our account, now we are at peace since they know us and our business requirement as this helps business run very smoothly. At all times, communications with our suppliers were handled efficiently without unnecessary delays which was another feather in the cap, this put us all at ease we were assured that the jobs will be done professionally once we assigned Gulf American Line as our Account Manager. Gulf American Line is a global leader in Freight Forwarding, Warehousing and Transportation. Your #1 logistics provider for over 30 years!